After running two recent posts on the atrocities committed by Wildlife Services, I received many messages and comments asking how we can stop the secretive and out-of-control federal agency. Two lawsuits have been filed against Wildlife Services recently. Winning legal battles takes savvy lawyers, time, energy, and lots of money - and that is how we can help. By donating what we can, each of us helps fuel the fight. Here's a rundown on who is on the front lines and where you can donate. Two organizations, Advocates for the West and Western Watersheds Project - on behalf of the Center for Biological Diversity, WildEarth Guardians, Friends of the Clearwater, and Project Coyote - filed suit in February against Wildlife Services in Idaho for its outrageous mistreatment of wildlife. Advocates for the West estimate that in 2015 alone it will cost them $50,000 to keep this case moving. The lawsuit says that the US Department of Agriculture failed to fully analyze and disclose the impact of its Wildlife Services program in Idaho, which kills thousands of wolves, coyotes, foxes, cougars, birds, and other wild animals each year at taxpayer expense. The multimillion-dollar federal program, whose work primarily benefits the agriculture industry, relies on an array of lethal methods including aerial and ground shooting, poisoning, trapping, and using explosives. The lawsuit wants the agency to adopt nonlethal methods and develop an environmental impact statement to analyze the long-term impact of killing wildlife across the state. Click here to donate to Advocates for the West. Click here to donate to the Western Watersheds Project. The Western Environmental Law Center - on behalf of Cascadia Wildlands, WildEarth Guardians, Kettle Range Conservation Group, Predator Defense, and The Lands Council - filed suit in US District Court in Seattle in March. Their lawsuit alleges that Wildlife Services overstepped its authority while killing wolves to protect livestock in Washington. 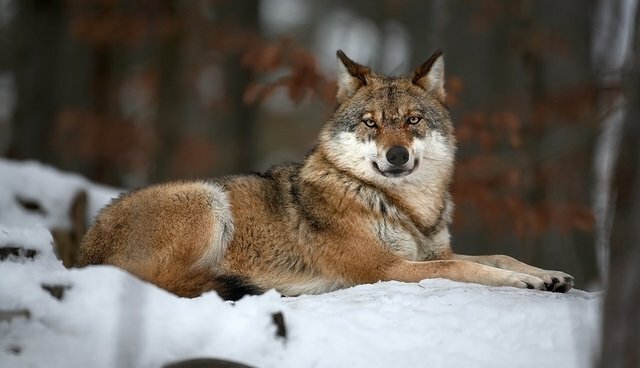 The complaint says that the agency's efforts are based on outdated analysis of how to deal with wildlife, and more often than not the job is bungled - as with the shooting last year of the alpha female of a pack instead of another wolf that had been seen attacking livestock. The lawsuit claims that Wildlife Service's activities constitute negligence under the National Environmental Policy Act, which requires an in-depth environmental impact statement. Click here to donate to the Western Environmental Law Center.